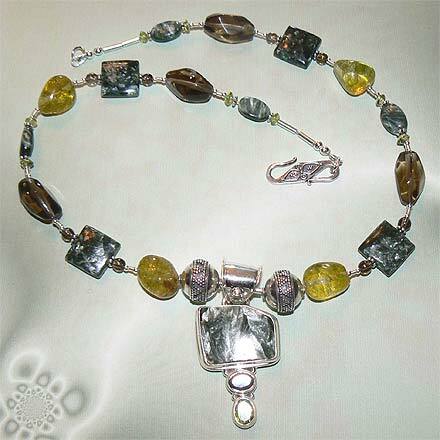 Sterling Silver Seraphinite, Peridot and Smoky Quartz Necklace. See Closeup. 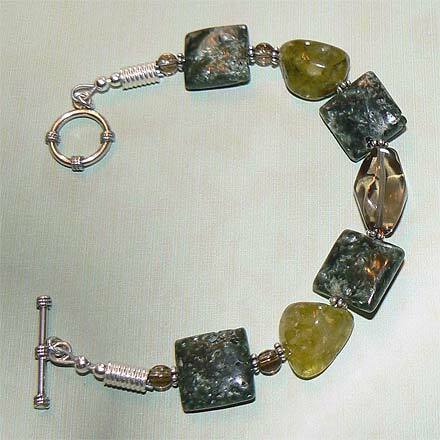 Sterling Silver Seraphinite, Peridot and Smoky Quartz Bracelet. 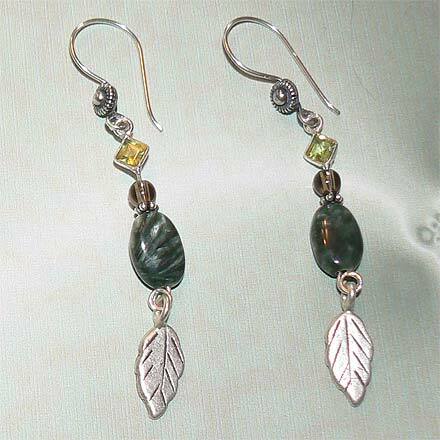 Sterling Silver Seraphinite, Peridot and Smoky Quartz Earrings. 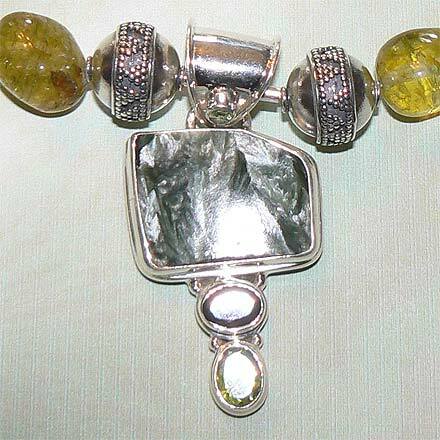 A gorgeous combination of forest green Seraphinite with lime green Peridot and Smoky Quartz. Serapinite is mined in Russia and has a chatoyant yet feathery appearance. For those who are interested in Astrological significances of stones, Quartz corresponds with Taurus and Gemini and Peridot corresponds with Libra and with the month of August.